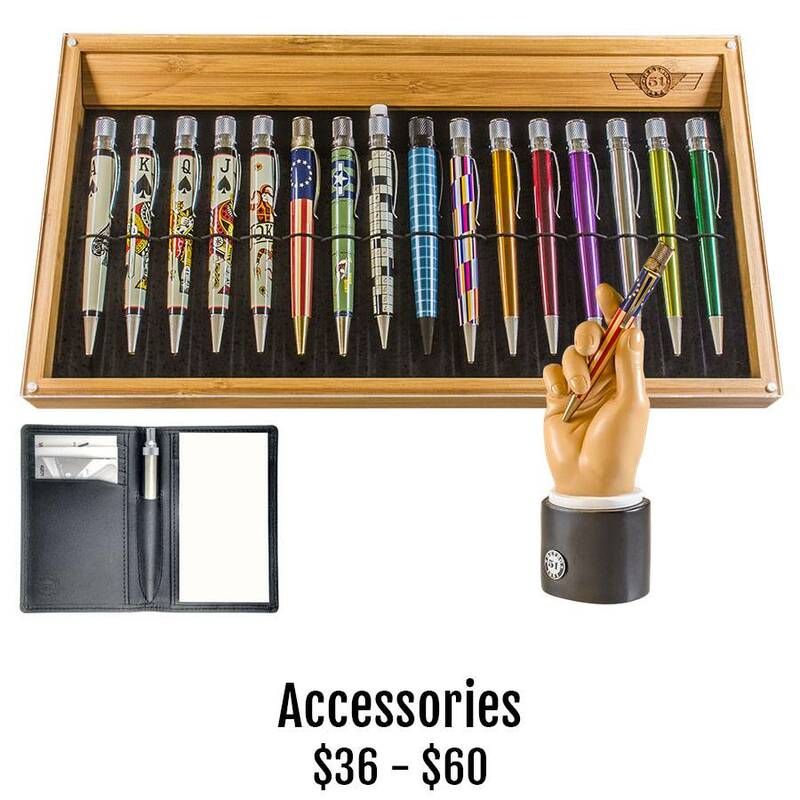 Customers clamor for pen accessories and Retro 1951 always responds with creative and affordable options. Spark comments and smiles when you rest your pen in this "Hand"some accessory. It's so funny, we can't stop laughing. More seriously though, if you are a Retro 1951 collector, and there are a lot of you out there, you cannot pass up the new Bamboo 16-pen Display Tray. We love the easy-to-open magnetic top that allows you to view all your pens and store them safely in one place. When on the road, carry a useful Retro 1951 Traveler for quick notes and ready access to needed cards.